In addition the well-developed plots are also adorned with amenities and features that ensure a comfortable and hassle-free lifestyle. 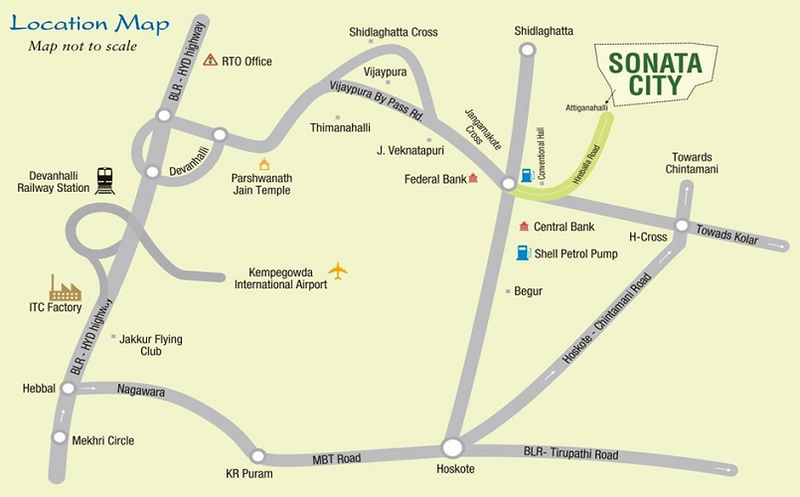 Sonata City is nestled in Jangamakote Cross (Near Devanahalli), where you’ll surround yourself with nature, peace, and tranquility. Sonata City is replete with the choicest of amenities, which not only complement your stature, but also aid in achieving a holistic living experience – one that allows you to revitalise and connect with your mind, body, and soul.